The NASA team working with the Juno probe have captured absolutely stunning ongoing photos of the swirling cloudscape that surround the planet of Jupiter. On October 29, 2018 during its 16th flyby of the planet, the cameras captured an amazing close up shot of an anticyclonic storm, which appears as a white oval, which had made an appearance along with some unexpected “pop up” clouds. 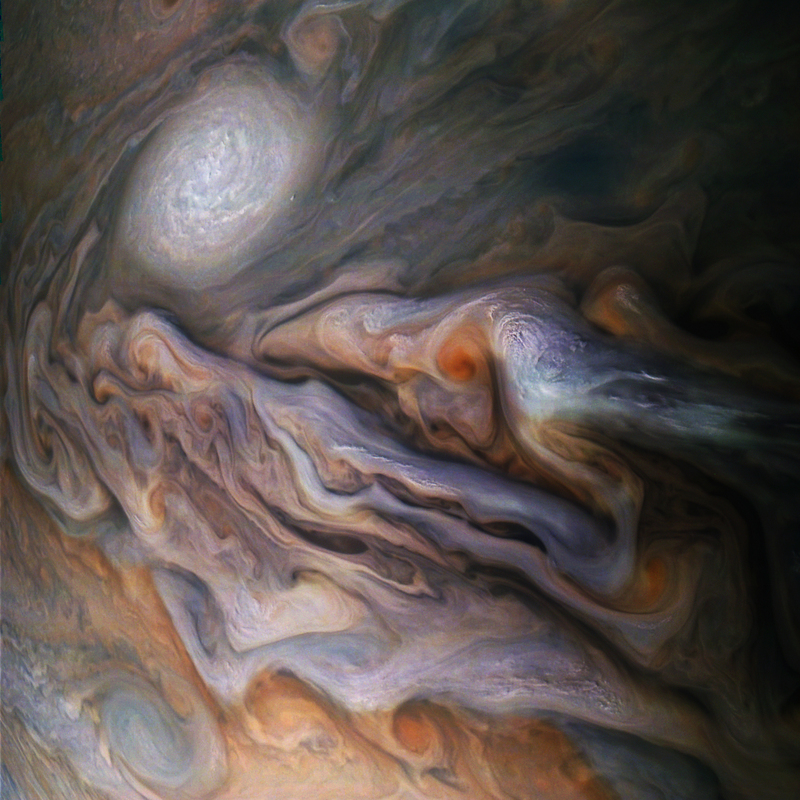 A multitude of magnificent, swirling clouds in Jupiter’s dynamic North North Temperate Belt is captured in this image from NASA’s Juno spacecraft. Appearing in the scene are several bright-white “pop-up” clouds as well as an anticyclonic storm, known as a white oval. …At the time, Juno was about 4,400 miles (7,000 kilometers) from the planet’s cloud tops, at a latitude of approximately 40 degrees north.